Dale was a master craftsman of rock ’n roll and Boston listeners were the beneficiaries. Boston has had its share of exciting rock ‘n roll disc jockeys, but Dale Dorman is legendary. With his lightening fast reflexes, a gift for genuinely clever patter and an astounding ability to “post” a song intro, he did what few others have ever done — he remained a force and a positive influence on radio and music for 45 years. It all began in Syracuse in 1964. After establishing himself at WOLF, he sent a tape to the legendary programmer Bill Drake at KYNO/Fresno. It was Drake who then developed the famous Top 40 format aired on stations owned by RKO General. 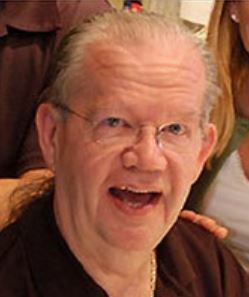 Drake liked what he heard, hired Dale to work at RKO’s KFRC/San Francisco, and under his tutelage Dale became an integral part of the Drake format and moved cross-country be on The Big 68, WRKO. Dale was 24 when he took over morning drive at WRKO in August, 1968 and delivered top ratings for ten years. He also hosted the afternoon kid’s show on TV38 and the weekend “Creature Double-Feature” as Uncle Dale. By the late 70’s FM radio had eclipsed AM for music listening. After a brief stop at WVBF Dale landed his second long-term gig doing afternoon drive at Kiss 108 (WXKS-FM) for 23 years. “To be able to be a top-rated jock on a Top-40 station in his 60s is really astounding,” Don Kelley, then Vice President of Programming for Magic 106.7 WMJX and now President of the Mass Broadcasters Hall of Fame, told the Boston Globe in 2003, when Dale left Kiss 108. In 2003 Dale moved back to morning drive at Oldies 103 (WODS/Boston). “I wound up at Oldies 103 playing the same music that I played at WRKO when I was just starting out,” he told the Globe in 2008. “A bunch of people started calling. They were like, ‘Oh, wow! How are you? Where have you been?’ ” playing the same songs that he played on WRKO in the 60’s and 70’s, but by now they had become oldies. Dale was inducted into the Rock and Roll Hall of Fame in 1995 and inducted into the Massachusetts Broadcasters Hall of Fame in 2010. In 2015 the brand new Dale Dorman studio at Massasoit Community College was dedicated in his name. He passed away in 2015.